The in-character story will be posted in the ASC threat, which can be found here: ASC: The Risen Empire. Please note, only those who have submitted an approved character profile are allowed to post. Having said that, you may still join this role-play. There were no witnesses when the Great Chasm first breached the earth. All that is known is that 500 years ago, a young Iunet person hailing from the Sand Tribes of Zau stumbled across it during their coming-of-age rite. The following centuries saw the rise of the Iunet Empire, as the Iunet Tribes banded together under the Council of the Three to secure the Chasm as a resource from the surrounding lands. To the south, Jeku was the first to fall, quickly followed by the sylvan tribes of Gesat. Infighting within the Council of Three caused a bloody civil war that interfered with its campaign against Khemet, which had also been harnessing the magic of the Chasm while the Tribes were marching against Gesat. This infighting, coupled with the difficulty of subjugating Khemet, was the greatest challenge the Empire had ever faced. In the end, it required a brutal and decisive war leader to overthrow the Council of Three and seize control of the Tribes. The war leader, MerNeith of the Sand Tribe, became the first Empress of Iunet. Founding a new dynasty, MerNeith’s line has ruled ever since. Even with an autocratic leader, subjugating Khemet proved to be a bigger challenge than the Empire expected. Using the ethera creatively, the matriarchs of Khemet were able to prevent the Empire from penetrating the Forest of Emeralds. Khemet successfully held at bay the Iunet Empire for centuries. But now, something has changed. Khemet has finally fallen to the Empire, and now the rest of Avaris regards its northern neighbour warily, wondering what it will do. In the five hundred years since it was discovered, the Great Chasm has notably widened. Thirty miles wide at its widest point, it remains a concerning enigma. No one knows how it came to be, nor what to do about the negative effects of exposure to so much ethera, the raw magic, which can be mined from its sides like mineral rock but extracts a price from any who touch it with bare skin. The Iunet Empire is saturated with magic, which makes the Empire incredibly powerful, but also threatens the health of everything in it. Mutated creatures roam the land, and there are horrific tales of what happens to those who are sent to mine the ethera. There is no power in the land powerful enough to take on the Empire, and it is showing signs that its bloodthirsty history will continue into the present day. Bordering Gesat at the River Menaka, and Khemet at the rivers that feed Lake Nassel, Buhket remains the only nation in Northern Imut that has not been subjugated by the Iunet Empire. The Empire’s intent in the northern lands are unclear. The Lords of Buhket fear an invasion, but fear more to provoke an invasion by preparing for an uncertain eventuation. The King of Ankh-Tawy, a powerful trading city-state nestled within Nasaras Valley, also looks in askance at the monster stirring in the north. Content to trade without interference, the Ankh-Tawy king watches and waits. South of the Nassel Mountains, the other city-states of Wadjit battle and feud with one another as always, without a single care for the northern nations. Tucked away behind the Spines of Mizdah, and protected by powerful defensive spells, the Tjebu Theocracy quietly endures, its only cares academic and theocratic. To the south, the Trade Confederacy of Sile (sil-ey) and the Merchant Council of Qis (kwiss) have already established lucrative trade with the Empire and its inexhaustive magical exports. Their only concern with upcoming events is that their trade empires endure. It is a time of uncertainty in the land; a time of shifting alliances and dangerous, unprecedented magics. Ethera is saturating the earth, mutating the flora and fauna of the land… It is clear that Avaris was not meant to bear up under such raw magic. It is also clear that the Iunet Empire will not give up the source of its powerful rise willingly. But sometimes the rise and fall of empires rests not on armies and magic, but on simple men and women who become catalysts of time and destiny. Who will these men and women be? The world is Avaris. The continent where this role-play will take place is Imut. For a guide to the cultures - very basically, the Iunet Empire resembles Egyptian, the City States of Wadjit are more like Greek-Egyptian, and the other lands are pretty open to interpretation aside from the governments/tribal specifications on the map. Other than that, go nuts. •	Character Flaws: (realistic flaws and strengths can be found here. A quick note on the magic of this world. In the natural state of the world, magic is both an ability that some are born with in higher quantities than others, and, far more rarely, a sort of scarce natural resource that gather and wane in geographic areas like alluvium - this is ethera, or raw magic. In this way, mages are born with an inherent ability, and possess differing natural strengths. The most powerful magic they can do corresponds directly with their personal capacity for magic. Think of it like fitness: You can get yourself to peak performance by training, but you will never be as strong as Bob, who's seven feet tall and genetically predisposed to high muscle mass. You are probably faster than him, though. You might have more mental strength, discipline, and training. So there are natural advantages and disadvantages. Big magic corresponds with a person's physical capacity to power such magic. Energy for magic comes from an individual, which limits the scope of magic people can do if they don't want to be drained to death. Deprivation or physical damage will affect a person's energy levels, and therefore their ability to use magic. It is possible for mages to work together to pool energy and do bigger works of magic. Non-mages can also gain a sort of synthetic magical ability by the use of magical items crafted from ethera. Ethera artefacts have always been rare and expensive. Mining and using ethera without the proper protections affects the body like a slowly spreading cancer. It is eventually lethal if those protections are not in place. To use ethera, however, one has to physically touch it. Even if protections are used (i.e. only touching it when you use it, not using it too often, etc) it is common knowledge that using ethera exacts a price. The appearance of the Great Chasm has created a sudden and immense resource of ethera, at levels never before experienced in the land. A glut of etheran artefacts in the market will damage the economy, black markets will emerge with potentially insufficient protections, and both the immoral rich and poor will find it easier to obtain etheran artefacts, which will cause social problems like crime, corruption, and injustice. There are Hounds in every land, mages who police the use of magic - their jobs will become much harder and more complicated. The main things to remember are: use common sense and don't god mode. One person is not likely to be able to destroy an entire city or bring a person back to life. Don't get too caught up in the nitty-gritty; we can work things out as we go as well. The Empire is potentially marching south, into a land of fractured and highly contentious city-states. Can they come together to face the greater threat from the north? Who will help them? The Great Chasm is saturating the earth with ethera, a form of raw magic that is mutating the surrounding flora and fauna. It is also getting bigger. What threat does all this ethera pose to the Iunet people, who are now as steeped in magic as their land? How did the Chasm come to be? Can anyone solve this mystery, before it swallows the whole land? Who will protect local people from the mutated plants and animals around the Chasm? Is the taint creeping into other lands, and what is it doing to the people? If your character is an academic or a mage, will you seek out knowledge on whether this is the first time such a thing has occurred? How can such powerful and raw magics as the Chasm makes possible be overcome? Are there any unexpected allies in this quest? Will you band together, or go forth to fight or find answers in groups? Looking forward to your expressions of interest! As more players join the game, I will add their character profiles here so that we don't have to go scrolling through the thread to find them. Physical Description: Burke is a middle aged man of middling height and is lean in a way that suggests that he spends long days on the road away from proper meals. He has a thick shag of black hair and a beard that has come about more from distance from civilisation than from any sort of aesthetic desire. His clothes are of good quality, but are very basic and are clearly worn, as are the rough set of mail armour that he carries in his pack and the notched axe and shield that hang from his hip. His eyes are constantly darting and his hands are never far away from his weapons, giving an impression similar to a wolf trapped in a pit. When he speaks, it is in a surprisingly educated, though halting, manner, though only on the topics of violence and gold. No matter the language, he gives the impression that it is not his native tongue. Physical Skills: Burke is a highly experienced, brutal and talented fighter face to face and is very good at thinking on his feet. In a fight and in life he gives no thought to chivalry or fairness and will take any chance given to attack his enemies while abed or burn the building that they are hunkered down in instead of seeking out single combat. If he were asked what his greatest advantage was, and if he were willing to answer, he would state that he is more at home with violence than most people and so is less likely to hesitate. In a city, he is inclined to sudden and surprising violence to solve problems, while out in rural or wild environments, he is highly skilled at making himself invisible amongst the terrain. Finally, long years of work have given him a wide array of practical skills suited to traversing and living in the wilds of Avaris, allowing him to be self-sustainable away from any trappings of so-called civilised society. Magical Ability and Rank (if applicable): Burke has no innate magical skill and lacks the traditional education to use complex magical items. He has a few trinkets that assist him with mundane tasks (lighting campfires, washing off blood, improved physical stamina, mildly improved night vision etc) and he guards them jealously, never allowing them to be out of his arms reach. Brief History/Bio: Burke is a mid-level official within the Ducal Company, a band of mercenaries based out of the Sile Confederacy. If questioned on his personal life, he alludes to a variety of stories, ranging from killing to pay off his debts to being a captain of the Duke's guard who fell out of favour. When drunk however, he speaks of a family back in Sile and the hope that he may one day have enough money to retire back to his daughters and the dream he once had working in pottery. For now however, he works for coin and the company and is willing to plumb untold depths in the service of either. Character Flaws: While he would mistakenly regard it as a strength, Burke is a very linear man. He is employed to hurt or kill people for coin and does not particularly care who, so long as it is in service of his contract. This approach can blinker him and non-violent solutions can blind-side him. He does not make friends outside of the company easily and his violent methods often give the impression of cruelty, offending or horrifying less mercenary personalities. Also, while he is quite selfless, that attitude does not extend outside of the company and his contract, so while working outside of his support structure, he is disloyal, unethical and dishonest. Finally, his somewhat rigid and unorthodox moral code can entrap him into courses of action that do not benefit him. Character Strengths: Burke is incredibly good at his job in that he negotiates contracts to bring harm to other sentient creatures and then he carries them out. He is a very dangerous melee fighter, he is cunning and he has almost preternatural dedication to task. If he has a contract, he will follow it to the letter, regardless of the risk to himself or others. His lack of formal education often deceives people, in that while he does not understand magic, he is capable of rapidly improvising and can switch from placid observer to violent participant faster than most people are able to react. How your character spent the last week before the RP/story began: Burke has been traveling from Sile on orders from the Company, seeking either valuable contracts or valuable plunder. For the past week, he has been in negotiations with the councils of Qis, attempting to convince them to hire the company while conducting reconnaissance for potential raiding opportunities. When not working, he could be found at the cheapest tavern in whatever town he was in at the time, drinking away bad memories. Physical Description: Dark haired and of average height, Fenton is a slight young man with a clean shaven face and dark brown eyes. His clothing was fine once, strong dark fabrics of stylish cut, the kind of thing you might see being worn by a wealthy young man who hadn’t worked a day in his life. That was in fact, exactly how Fenton would appear to the casual observer. Lazy, laid back, blind to the wants and needs of others. A more careful eye would note the easy grace that underlined his every movement, like a dancer or an acrobat, and sharp eyes that darted about a room taking in all that was there to be seen. Physical Skills: Fast feet, strong hands, and a reckless disregard for his own safety make Fenton quite the adept climber. He can move quietly when he needs to, and can trick his way past most locks. He can fight, if he has to, but is as far from a seasoned soldier as a man can get. Trained in duelling from a young age, Fenton can handle a blade with skill, but has yet to be in anything with even a passing resemblance to a real fight. Brief History/Bio: Fenton was rich growing up, or at least his father was. He’d been raised to be a fine young gentleman, intended to take over the family business. The same old boring life as dear old boring father? There were few alternatives, so Fen sought his excitement elsewhere. Eventually this landed him in trouble, when the city guard found his ‘trophy room’ following an anonymous tip. Fenton was exposed as the notorious Mílo Kléftis, high profile thief. He was given this name for his habit of leaving behind fresh apples in place of goods he stole. Character Flaws: Fenton is a thrill seeker, reckless and often foolish. He doesn’t stop to think things all the way through, and takes great risks for even small rewards. This has landed him in trouble in the past, and history does tend to repeat itself. Character Strengths: Nimble and quick, stronger than he looks, Fenton has maintained and even strengthened his fine physical talents during his long stretch in prison. There wasn’t much else to do, after all. Though his hands aren’t as quick in picking locks as they once were, and it has been years since he last held a sword, he still has notable skill in both arts. How your character spent the last week before the RP/story began: Stripped of title, cast out of his family, and only recently released from prison, Fenton has been hopping from tavern to tavern trying to find a new place for himself in the world. He has few friends left willing to lower themselves to dealing with him, and has taken to spending time with less reputable folk, folk who might appreciate his talents. News of growing tensions with the Iunet Empire has trickled down to street level, causing a stir. Many of his new acquaintances worried about the danger the empire presented to their business, but Fenton worried more about what his life might look like under the heel of the empire. They were not kind to thieves, and even honest citizens of subjugated nations were afforded little freedom. Physical Description: With the brown skin of a native Wadjitan, Ashayt is tall and willowy, standing at an impressive 5’ 10”. She is 40 years old and has an air of haste about her. From her quick walk and impatient demeanour, Ashayt conveys a certain practicality that makes her an effective negotiator. Contributing to this impression is a stern face with strong angles, black hair worn plaited into a queue, and shrewd brown eyes that miss nothing. Ashayt wears rich but practical robes in the style of a noble, which convey a sense of wealth but also a sense of purpose and importance. Her height and strong features, coupled with her steely gaze, give her an imposing physical presence. Physical Skills: Ashayt has quick reflexes, a strong body, and a shrewd mind. While she is not a fighter, growing up, she was required to learn enough about the art of sword and dagger to defend herself. She is a superb rider, and keeps herself lean and fit. This contributes to her magical capacity. She is an accomplished Master Scribe and knows more than is innocent about herbal lore. Magical Ability and Rank: Ashayt is a natural mage, more powerful than average, which gives her contacts within the mage world she has found useful in the past. Brief History/Bio: Ashayt hails from Akh-Isut By-the-Lake), and so grew up in a heated political environment. In that region, two rulers have claimed the traditional name of Akh-Isut for the city-state they rule, which has led to a century of conflict as to which city-state is actually entitled to the historically significant name. The kings that founded both city-states were brothers, the grandsons of Akh-Isut, the legendary warrior who once conquered both city-states. The present kings refuse to renounce the name, leading to two city-states called Akh-Isut – Akh-Isut By-the-Lake, and Akh-Isut By-the-Sea. A high-ranking noble, Ashayt grew and became skilled at politics and negotiation, and became renowned for brokering peace between the two city-states. By organising the addition of by-the-sea or by-the-lake to the official city name, as well as organising the wedding of one king’s daughter to the other king’s son, Ashayt was able to create a system in which both children from the royal couple became the heirs to each city-states. As neither paternity nor maternity matter in inheritance, this was an acceptable solution and the two city-states are now closely allied. Since then, Ashayt has travelled to many city-states and acted as a negotiator. She has participated in some dicey border conflict between the Sile Confederacy and the Wadjitan city-state of Heryib, and also dealt with tensions between the Theocrats of Tjebu and the city-state of She-Resy. Currently residing in Ankh-Tawy, Ashayt has been involved mostly in Trade negotiations, which she enjoys and finds challenging. Being at the border of Wadjitan lands has also exposed her to the disturbing consequences of the Iunet Empire’s rule; namely the displacement and oppression of the Jekui, who sometimes escape into the southlands, and the slow conquest of Khemet, a valued trading partner. Along with the Council of Buhket, the King of Ankh-Tawy watches the power empire’s advance with trepidation and dread. Character Flaws: Although a convincing actor for the purposes of negotiation, Ashayt is by nature a deeply cynical and unscrupulous person. While she honours the agreements of her negotiations, she is shrewdly unethical about acquiring those agreements in the first place. She has been imminently successful because she wields her influence like a subtle knife, pushing and prodding at far-flung issues in order to manipulate individuals and groups to favourable outcomes without them ever realising what she has done. Character Strengths: Observant and clever, Ashayt knows when to listen and when to speak. She is bold and knowledgeable, but quick to take instruction where others’ expertise outweighs her own. Her strength of will is one of her strongest qualities, allowing to her meet any challenge with practicality and determination. How your character spent the last week before the RP/story began: Dealing with the aftermath of the Iunet Empire’s victory over Khemet, Ashayt has been present in heated and fearful talks between the King’s advisors at how he should deal with the mounting threat in the north. A day before the role-play begins, the King received a delegation from Bhuket. She is scheduled to attend their audience with the King, and believes they come seeking an alliance against the encroaching Empire. Physical Description: Slim and average in height, Alyssa's a fair short haired brunette with her fringe held to the side by a golden triangle clip. Being brought up in a wealthy family, the 18 year-old adored herself on imported modern looking clothes with woollen socks and boots. Making her stand out compared to the commoners wearing dirty robes and simple sandals. Magical Ability and Rank: None. Brief History/Bio: Despite being from a Royal family of talented mages, Alyssa is hopeless in the art of magic. But her family love her. There was a time while she was learning spells from her father. He completely forgot how to conjure a fireball spell despite doing it moments ago. Alyssa on the other hand had a tiny ball of fire dancing on her hand as her father felt his grip on his magic loosen and he grew weak. However, her concentration was broken by a speck of dust and her father got control of his magic once more. From then they thought it would be best if she didn’t learn magic. For her personal life, Alyssa lived mostly a comfortable and sheltered life. Spending most her life beside her father and learning magic. Her mother had no time for her as she was too busy trying to build up their empire and regain the dozens of land that they lost from the war as well as dealing with the other effects of war that robbed her people of their lives. Alyssa being young at that time, didn’t understand and saw it that her mother hates her for magic ability. Now that she’s older, she understood her mother’s duties and no longer demanded attention. She would spend her time going to the library or shop for things she liked. Character Flaws: Annoying. Can’t defend herself. Loves to proclaim her importance. Character Strengths: Talented at speaking multiple languages. How your character spent the last week before the RP/story began: Alyssa was visiting a neighbouring town to splurge on some golden flake bread when she was sudden ambushed. With her guards killed from to the unexpected attack, Alyssa was kidnaped to a rural village. Where the villages there behave weirdly. Physical Description: On the shorter side, Halina has long, dark hair and olive skin. She dresses in simple, well made clothing, in muted greens and browns. She has a scar across her left eye, the previously brown eye having turned a milky white, and she has a perpetual glare to her features, as if she is constantly disappointed by her surroundings. She is lean, and well-muscled, moving with a grace that implies deadly precision. Physical Skills: Halina is a skilled, and dangerous warrior, fighting with the fury of one who loses themselves to the thrill of combat. She is street smart, and skilled in tracking, though is far more at home in an urban environment. She has a poor memory, courtesy of a blow to the head, and is blind in her left eye. She is talented in sleight of hand, but not thievery, is a cook of some merit, and plays a mean fiddle. Magical Ability and Rank (if applicable): Halina has very limited magical potential, and can do little in the way of offence, or useful charms. She is, however, an expert at fighting magic users, using her small workings to defend herself from the more powerful ones of those she fights. Brief History/Bio: In her youth, hungry, alone and desperate, Halina pledged herself to fifteen years in Vollor’s service. A year ago, that service ended, and she emerged, scarred, wounded, and as one of the deadliest people in Tjebu. Halina had spent her service as one of The Speaker’s many Hands, silencing heretics and hunting foreign agents. Now she runs a small tea house, where she serves customers, cooks small meals, and gathers information to pass back to the Theocracy. She enjoyed her quiet life at first, but has found herself missing the thrill that only being near death can bring. Character Flaws: Halina is quick to jump to conclusions, and slow to let them go. She distrusts everyone and everything, and struggles to build relationships. She will often fixate on one idea, and refuse to consider other options, regardless of how much more difficult her original plan may be. She always favours the direct route, and dislikes intrigue, which often places her in dangerous, and avoidable situations. Character Strengths: Halina is determined, once she starts something, she will always finish it. She is kind, for a religious enforcer, and gives generously to the poor, particularly to children. She is honest, often to the point of being blunt, which many of the people she deals with find refreshing. She is very protective of those that she does manage to get close to, and fiercely loyal. How your character spent the last week before the RP/story began: Halina spent her week as normal, running her shop with the aid of her assistant, Hafsah. She has a productive week, and is pleased that she rarely found herself consulting her note book, where she records the days’ events to aid her flawed memory. However, she soon begins to hear strange rumours throughout the course of her information gathering, rumours speaking of secret gatherings. Rumours of men in red robes, of strange, sacrificial murders. Worst of all, she hears a name, Abah, and feels her old paranoia and fear begin to remerge. For if these rumours are accurate, the greatest threat her city has ever faced has returned, and this time, he will be after revenge, and she will be at the top of his list. This looks interesting. But may I know how is this game played? Is this like a dnd game or something else? And by the extent of magic. What kind of magic? Anything we can come up with as long as its not too over powered? Hi Bilance. I have added another section to the intro about magic. Hopefully it answers some of your questions. DnD style gaming can be found on the Second Floor. This game will be played like we are writing a story together. Once you've posted your character profiles, I will create the ASC (Actual Story Content) thread and we will begin the RPG. I will post an introductory scene featuring my character to open the thread, and then everyone else who has posted a character profile here will be able to start posting in the ASC at will. Your posts should be written like you are writing a scene in a story, therefore please ensure it's spell-checked and formatted it for easy reading. You can team up with other people to travel or work together within the game, or you can work individually. You can use the OOC to coordinate. We post character profiles so that it's clear what kind of person our character is, and what kinds of motivations they have. They make it possible for us to include other characters in our scenes if necessary by giving us an understanding what each character 'would' do in a particular situation. However, if you write for another character, it's usually small interactions with your character, or describing what that character is doing in a battle etc. You should not be causing anything significant to happen to that person's character, or make them act out-of-character, without checking with the player beforehand. For example, if the character is a pacifist and you write that they kill someone in your scene, that's out-of-character and you would definitely check first if that's okay. However, small wounds or shaping how characters relate to one another should be okay. An example of this is in the Sandorian Adventures role play back on Legendfire. My mercenary character was massively snarky to an academic mage she had to work with because she thought the mage was snobby and inexperienced. The other player just jumped on board with it and our two characters developed a nice, snarky sort of camaraderie that fit their personalities perfectly. Role play writing requires communication and a little leeway on everyone's part, but sometimes the unexpected ways others might interpret your character can be fun and interesting, and even spark ideas. If you're ever unsure, you can check with the player over PM, or with me as the GM, to check if what you want to write about that character is okay. For those who haven't read it yet, Role Playing Documentation for the basic rules of play can be found here. FYI all - I've edited the original post a bit and added some extra info and links to some character creation and worldbuilding threads. Hoping to see some Character Profiles posted soon. • Physical Description: Burke is a middle aged man of middling height and is lean in a way that suggests that he spends long days on the road away from proper meals. He has a thick shag of black hair and a beard that has come about more from distance from civilisation than from any sort of aesthetic desire. His clothes are of good quality, but are very basic and are clearly worn, as are the rough set of mail armour that he carries in his pack and the notched axe and shield that hang from his hip. His eyes are constantly darting and his hands are never far away from his weapons, giving an impression similar to a wolf trapped in a pit. When he speaks, it is in a surprisingly educated, though halting, manner, though only on the topics of violence and gold. No matter the language, he gives the impression that it is not his native tongue. • Physical Skills: Burke is a highly experienced, brutal and talented fighter face to face and is very good at thinking on his feet. In a fight and in life he gives no thought to chivalry or fairness and will take any chance given to attack his enemies while abed or burn the building that they are hunkered down in instead of seeking out single combat. If he were asked what his greatest advantage was, and if he were willing to answer, he would state that he is more at home with violence than most people and so is less likely to hesitate. In a city, he is inclined to sudden and surprising violence to solve problems, while out in rural or wild environments, he is highly skilled at making himself invisible amongst the terrain. Finally, long years of work have given him a wide array of practical skills suited to traversing and living in the wilds of Avaris, allowing him to be self sustainable away from any trappings of so-called civilised society. • Magical Ability and Rank (if applicable): Burke has no innate magical skill and lacks the traditional education to use complex magical items. He has a few trinkets that assist him with mundane tasks (lighting campfires, washing off blood, improved physical stamina, mildly improved night vision etc) and he guards them jealously, never allowing them to be out of his arms reach. • Brief History/Bio: Burke is a mid-level official within the Ducal Company, a band of mercenaries based out of the Sile Confederacy. If questioned on his personal life, he alludes to a variety of stories, ranging from killing to pay off his debts to being a captain of the Duke's guard who fell out of favour. When drunk however, he speaks of a family back in Sile and the hope that he may one day have enough money to retire back to his daughters and the dream he once had working in pottery. For now however, he works for coin and the company and is willing to plumb untold depths in the service of either. • Character Flaws: While he would mistakenly regard it as a strength, Burke is a very linear man. He is employed to hurt or kill people for coin and does not particularly care who, so long as it is in service of his contract. This approach can blinker him and non-violent solutions can blind-side him. He does not make friends outside of the company easily and his violent methods often give the impression of cruelty, offending or horrifying less mercenary personalities. Also, while he is quite selfless, that attitude does not extend outside of the company and his contract, so while working outside of his support structure, he is disloyal, unethical and dishonest. Finally, his somewhat rigid and unorthodox moral code can entrap him into courses of action that do not benefit him. • Character Strengths: Burke is incredibly good at his job in that he negotiates contracts to bring harm to other sentient creatures and then he carries them out. He is a very dangerous melee fighter, he is cunning and he has almost preternatural dedication to task. If he has a contract, he will follow it to the letter, regardless of the risk to himself or others. His lack of formal education often deceives people, in that while he does not understand magic, he is capable of rapidly improvising and can switch from placid observer to violent participant faster than most people are able to react. 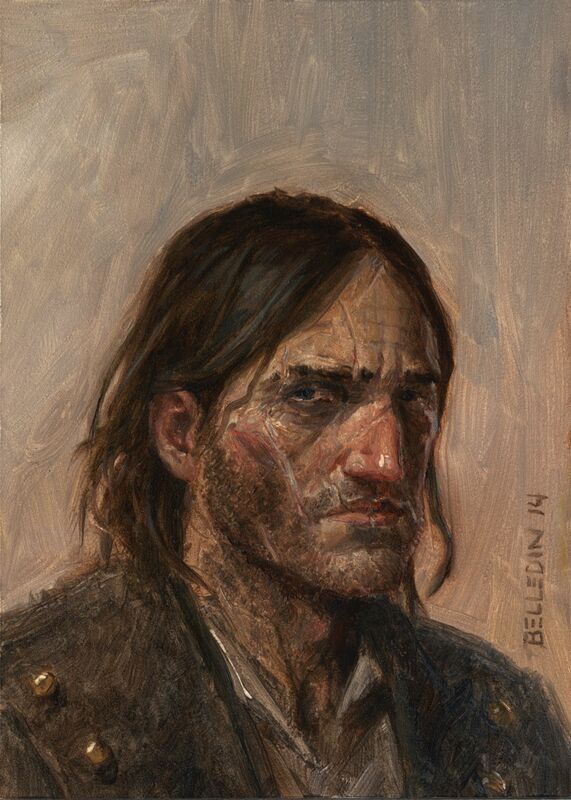 • How your character spent the last week before the RP/story began: Burke has been traveling from Sile on orders from the Company, seeking either valuable contracts or valuable plunder. For the past week, he has been in negotiations with the councils of Qis, attempting to convince them to hire the company while conducting reconnaissance for potential raiding opportunities. When not working, he could be found at the cheapest tavern in whatever town he was in at the time, drinking away bad memories. Nice! Hopefully I will have mine up soon. Some close-ups of the map, so you can see the city and town names better. Apologies for the separate posts - the board only allows two attachments per post. Before it subjugated the surrounding lands, the Iunet Empire bordered with Gesat in the north at the River Naquada and with Khemet at the River Driss. A thousand years ago, northwest Imut was populated by the Three Tribes of Iunet peoples: the Sand Tribe of Zau, the forest Tribe of the Green Rainbow Rocks, and the mountain Tribe of Nalut. Matriarchal tribes all, the Three were nomadic within their territories. Both men and women trained as warriors, as the Three prized combat above all. A dizzying array of customs and traditions dictated the rules of their constant mutual raiding, which kept warriors sharp, and was linked to customs such as marriage, alliance-building, and coming-of-age rituals. Magic was prized for clandestine operations. Rather than developing big, showy magics, it was the mages who could be the sneakiest that were most prized by the Tribes. Mages who could get warriors in and out of another Tribe’s area without a single loss were considered most valuable. The magic of the Tribes began to revolve around clandestine magic like cover spells that could hide the sounds of warriors and mounts, erase tracks, prevent the drifting of scent across open desert and the cracking of twigs in the forest, hide exposed warriors or even entire camps from sight, and spells that could do the opposite and uncover those things. Five hundred years ago, a young person of the Sand Tribe embarked on a coming-of-age journey to the east. While traversing the vast mountain range running the length of Northern Imut, the youth stumbled upon a vast chasm in the earth where before had only been a valley. From the chasm spilled a form of magic so raw that it was saturating the surrounding lands, creating mutated forms of local animals. The youth was attacked, and, though not a mage, the youth managed to ward off the creatures with magic. Realising the implications of this chasm to the strength of the Tribes, the youngster climbed into the chasm and chipped off a chunk of mineral rock laced with spidery veins of raw magic. The youth returned with it to the Sand Tribe, on the way encountering a band of Jekui warriors from the neighbouring lands to the south. The youth escaped, but returned to the Tribes with tales of the Chasm, the chunk of magic-laced rock as proof, and the urgency that if the Tribes did not immediately claim this land, neighbouring Jeku would. The Sand Tribe immediately set off to the east to lay claim to the area. Soon after, bands of warriors from Jeku arrived to challenge them, and the war began. The Sand Tribe appealed to the mountain Tribes of Nalut for help, and, as the chasm yawned wider and the Tribes began to march south into Jeku, also to the forest Tribe of the Green Rainbow Rocks. Together, the Three overwhelmed Jeku, subjugating it with sudden strength gained by the magic around the Chasm. Later, the Empress MerNeith would replace the Three, and seize control of the land. This monarchist nation once bordered the lands of the Iunet tribes to the at the River Hikupta, and to the north at the Behkar Valley. It had a fruitful relationship with Khemet, which it bordered to the east at the River Driss. Once known for the quality of its bards, the rich culture of the Jekui has mostly disappeared from memory. They are the most harshly subjugated people of the Empire. The Three systematically executed every member of the royal line to the second- and third-cousins, gutting the nation and stomping its very heart. Now treated as second-class citizens, the Jekui exist as a shadow of the proud people they once were. Populated by a pacifist sylvan people, Gesat had no major settlements, and is now part of the Iunet Empire. Its tribespeople lived simply and naturally among the verdant forests and in the high snow-capped mountains. They are rumoured to be highly magical, however, the invasion of the Empire and establishment of a major city caused the Gesati tribes to withdraw into the forests and mountains. Gesati tribespeople are now rarely seen. The Iunet Empire did not have to fight for the land, so they do not see the Gesati as a threat. Therefore, as long as the Gesati don't bother the Empire, the Empire does not actively seek them out. Khemet territory bordered Iunet lands at the River Driss and Bhuket at the Rivers Silet and Mazar. The only nation that bordered Wadjit at the Nassel Valley, Khemet was a strong and vigorous land. Ruled by a queen from a line descended from queens, Khemet can be characterised by a sparse but quality population. What it lacked in numbers, it made up for in skill and innate magical capacity. Many of the strongest mages ever born hailed from Khemet. Khemet was able to hold its own against the Empire for centuries due to the intelligence and strength of both its warriors and war mages. Although Khemeti warriors are skilled with blade and bow, they are most renowned for their lethal skills in unarmed combat. The fall of Khemet to the Empire was a resounding shock to the lands, and many watch with bated breath to see what will become of this once-great nation. The Bhuket Oligarchy border Gesat at the River Menaka and Khemet at the Rivers Silet and Mazar, which feed into Lake Nassel. Buhket is a highly traditional land, ruled by a Council of hereditary Lords. The Knights of Bhuket are renowned for their heavy armour, their skill as cavalry, and their total stuffiness. Social position and noble blood are important to Bhuketans. The best swords and armour come out of Bhuket, as well as other metalworks more delicate and expensive. While its war mages are not in the same class as Khemeti or Wadjitan war mages, who constantly practice their craft, Bhuket has the best soldiers and Bhuketans are open to anything that expands their horizons of battle. A small nation, Tjebu territory ends at the River Tadek. Tjebu is known for its powerful mages and religious fervour. The tiny city-state, which was once a part of Wadjit, broke away from the rest of the territory two hundred years ago. The Speaker rules Tjebu, and it is believed that the Speaker is the earthly mouthpiece for the ancient god Vollor, and is considered the physical part of Vollor's trinity. Vollarian - the religion of Tjebu - is not a religion of proselytism. Converts are not actively sought, though willing converts are welcomed. Maps of Sile, Qis, and the City-States of Wadjit. A sprawling mass of territories each ruled independently by a monarch, Wadjitan territory begins with Ankh-Tawy in the north in Nassel Valley, borders Tjebu at the River Tadek, and butts up against the Sile Confederacy at the River Hun. Many of these "cities" are not actual cities in terms of population - some may just be large towns. There are also many smaller towns and villages which fall under the authority of the nearby city rulers. Monarchs are usually not hereditary; the titles can be won by force as well as passed on by selection or kinship. Given the relative insecurity of the position; a strong ruler is usually, by necessity, a ruthless ruler. A successful Confederacy of Traders, Sile borders Wadjit at the River Hun, and Qis at the River Azilal. Trade is the lifeblood of the nation, and it has a reputation for being able to supply anything that can be bought or sold. This includes the best fighters money can buy. Sile retains its sovereignty by paying the best mercenary force the lands have ever seen. This is due to the need to deal with continuous attempts by ambitious Wadjitans looking to acquire another city-state for themselves beyond the River Hun. None live to regret it. A tiny territory administered by a merchant Council, Qis is successful because its Council members are both ruthless and wise, and many happen to be powerful mages. Before the Great Chasm opened up, Qis was one of the only places in Avaris where ethera could be mined. Qis does not have a standing army, but has a mutually beneficial alliance with Sile in which Sile provides the muscle and Qis provides the magic. There has been much talk of whether the two nations will merge, however, these rumours are never substantiated. • Physical Description: Dark haired and of average height, Fenton is a slight young man with a clean shaven face and dark brown eyes. His clothing was fine once, strong dark fabrics of stylish cut, the kind of thing you might see being worn by a wealthy young man who hadn’t worked a day in his life. That was in fact, exactly how Fenton would appear to the casual observer. Lazy, laid back, blind to the wants and needs of others. A more careful eye would note the easy grace that underlined his every movement, like a dancer or an acrobat, and sharp eyes that darted about a room taking in all that was there to be seen. • Physical Skills: Fast feet, strong hands, and a reckless disregard for his own safety make Fenton quite the adept climber. He can move quietly when he needs to, and can trick his way past most locks. He can fight, if he has to, but is as far from a seasoned soldier as a man can get. Trained in duelling from a young age, Fenton can handle a blade with skill, but has yet to be in anything with even a passing resemblance to a real fight. • Brief History/Bio: Fenton was rich growing up, or at least his father was. He’d been raised to be a fine young gentleman, intended to take over the family business. The same old boring life as dear old boring father? There were few alternatives, so Fen sought his excitement elsewhere. Eventually this landed him in trouble, when the city guard found his ‘trophy room’ following an anonymous tip. Fenton was exposed as the notorious Mílo Kléftis, high profile thief. He was given this name for his habit of leaving behind fresh apples in place of goods he stole. • Character Flaws: Fenton is a thrill seeker, reckless and often foolish. He doesn’t stop to think things all the way through, and takes great risks for even small rewards. This has landed him in trouble in the past, and history does tend to repeat itself. • Character Strengths: Nimble and quick, stronger than he looks, Fenton has maintained and even strengthened his fine physical talents during his long stretch in prison. There wasn’t much else to do, after all. Though his hands aren’t as quick in picking locks as they once were, and it has been years since he last held a sword, he still has notable skill in both arts. • How your character spent the last week before the RP/story began: Stripped of title, cast out of his family, and only recently released from prison, Fenton has been hopping from tavern to tavern trying to find a new place for himself in the world. He has few friends left willing to lower themselves to dealing with him, and has taken to spending time with less reputable folk, folk who might appreciate his talents. News of growing tensions with the Iunet Empire has trickled down to street level, causing a stir. Many of his new acquaintances worried about the danger the empire presented to their business, but Fenton worried more about what his life might look like under the heel of the empire. They were not kind to thieves, and even honest citizens of subjugated nations were afforded little freedom. • Physical Description: Slim and average in height, Alyssa's a fair short haired brunette with her fringe held to the side by a golden triangle clip. Being brought up in a wealthy family, the 18 year old adored herself on imported modern looking clothes with woolen socks and boots. Making her stand out compared to the commoners wearing dirty robes and simple sandals. • Magical Ability and Rank (if applicable):None. • Brief History/Bio: Despite being a princess from a Royal family of talented mages, Alyssa is hopeless in the art of magic. But her family love her. There was a time while she was learning spells from her father. He completely forgot how to conjure a fireball spell despite doing it moments ago. Alyssa on the other hand had a tiny ball of fire dancing on her hand as her father felt his grip on his magic loosen and he grew weak. However her concentration was broken by a spec of dust and her father got control of his magic once more. From then on they thought it would be best if she didn’t learn magic. For her personal life, Alyssa lived mostly a comfortable and sheltered life. Spending most her life beside her father and learning magic. Her mother had no time for her as she was to busy tryingn to build up their empire and regain the dozens of land that they lost from the war as well as dealing with the other effects of war that robbed her people of their lives. Alyssa being young at that time, didn’t understand and saw it that her mother hates her for magic ability. Now that she’s older, she understood her mother’s duties and no longer demanded attention. She would spend her time going to the library or shop for things she liked. • Character Flaws: Annoying. Can’t defend herself. Loves to proclaim her importance. • Character Strengths: Talented at speaking multiple languages. • How your character spent the last week before the RP/story began: Alyssa was visiting a neighboring town to splurge on some golden flake bread when she was sudden ambushed. With her guards killed from to the unexpected attack, Alyssa was kidnaped to a rural village. Where the villages there behaves weirdly. Thanks for joining in, Bilance. I might just get you to edit your character profile a little bit to make it easier to understand. The Magical Ability/Rank section is for her magical rank (if she has one, but it appears she doesn't). Noble rank would go in her bio. You've written a bit about her magical failings in her bio, but you haven't actually given us a brief history of her life, just that one instance of her magical usage. You didn't say how old she is, but even if she's a young person, she should have a backstory. Regarding Strengths and Weaknesses - being talented at languages is a skill, not a character (or personality) strength, which would be more like knowledgeable, intelligent, energetic, etc. It is important to include this information because other players need to understand what she's like. Check out this list I linked to in the Intro post for Character Strengths and Weaknesses - it will give you a neat list of examples of what constitutes character strengths and weaknesses. So if you could flesh out the profile a bit more, it would give the other players a better understanding of your character. As a princess of Khemet, she is in a unique position to give us insight into the invasion of her country, and the loss of its sovereignty, so I'm interested to see what you do with her! On the shorter side, Halina has long, dark hair and olive skin. She dresses in simple, well made clothing, in muted greens and browns. She has a scar across her left eye, the previously brown eye having turned a milky white, and she has a perpetual glare to her features, as if she is constantly disappointed by her surroundings. She is lean, and well muscled, moving with a grace that implies deadly precision. Halina is a skilled, and dangerous warrior, fighting with the fury of one who loses themselves to the thrill of combat. She is street smart, and skilled in tracking, though is far more at home in an urban environment. She has a poor memory, courtesy of a blow to the head, and is blind in her left eye. She is talented in sleight of hand, but not thievery, is a cook of some merit, and plays a mean fiddle. Halina has very limited magical potential, and can do little in the way of offence, or useful charms. She is, however, an expert at fighting magic users, using her small workings to defend herself from the more powerful ones of those she fights. In her youth, hungry, alone and desperate, Halina pledged herself to fifteen years in Vollor’s service. A year ago, that service ended, and she emerged, scarred, wounded, and as one of the deadliest people in Tjebu. Halina had spent her service as one of The Speaker’s many Hands, silencing heretics and hunting foreign agents. Now she runs a small tea house, where she serves customers, cooks small meals, and gathers information to pass back to the Theocracy. She enjoyed her quiet life at first, but has found herself missing the thrill that only being near death can bring. Halina is quick to jump to conclusions, and slow to let them go. She distrusts everyone and everything, and struggles to build relationships. She will often fixate on one idea, and refuse to consider other options, regardless of how much more difficult her original plan may be. She always favours the direct route, and dislikes intrigue, which often places her in dangerous, and avoidable situations. Halina is determined, once she starts something, she will always finish it. She is kind, for a religious enforcer, and gives generously to the poor, particularly to children. She is honest, often to the point of being blunt, which many of the people she deals with find refreshing. She is very protective of those that she does manage to get close to, and fiercely loyal. Halina spent her week as normal, running her shop with the aid of her assistant, Hafsah. She has a productive week, and is pleased that she rarely found herself consulting her note book, where she records the days events to aid her flawed memory. However, she soon begins to hear strange rumours throughout the course of her information gathering, rumours speaking of secret gatherings. Rumours of men in red robes, of strange, sacrificial murders. Worst of all, she hears a name, Abah, and feels her old paranoia and fear begin to remerge. For if these rumours are accurate, the greatest threat her city has ever faced has returned, and this time, he will be after revenge, and she will be at the top of his list. Awesome! Welcome to all of you! Now that we have a nice bunch of players, I will write up a first post to open the Actual Story Content (ASC) thread, and we can start playing! Don't feel like you can't join once we've started. Entry will remain open if more players want to join. Since we're all writing together, I thought I should probably mention that I'm a discovery writer, with no idea where anything is going. This does mean that my character will be wandering around randomly introducing story elements and generally misbehaving. I'll try to keep in check for you, but I probably won't be able to give you guys any idea of what I'm planning. I'll probably just do my best not to interfere with anyone else's plots, rather than craft my own. That said, how about everyone else? Are we looking at the chaos of every character doing what they want, or a meticulously planned masterpiece? That's true. Everyone have a different story and objectives to handle. But we should be sticking together in any case or it won't be roleplaying anymore. Everyone is just writing their own story hahhahaha. Yes, exactly, bilance. Whatever your character is doing, there is still a focus in this role-play, and that is the threat of the Empire and whether it will be defeated or conquer the whole continent. You should be writing something for your individual characters with that in mind. Like any story, you must keep the greater plot in mind, otherwise what you're writing will not connect in any way to the role-play. Our characters can run into one another as the story goes on. We might meet up as the direction of the story becomes clearer. E.g., what my character decides to do might end up bringing her into contact with some of your characters. Our characters might all end up falling in together to pursue a specific mission. We can arrange this as the story develops. I think there's a slight misunderstanding. I'm not so much asking about the structure of the rp, as to people's approaches to their writing. I like to create a character and throw an event at someone to see what happens. Halina is going to be chasing some guy. Who he is, what he wants, and where that will take her, I don't know, and won't know until it's on the page. I can nudge her in certain directions to faciliate meet ups, but I'm not going to be able to present anyone with outlines, or really say what is going on in my little arc. I was wondering how other people approach things. Are you an outliner, who will plan out their story before. Do you think up a couple of hightlights, or an ending, and work towards that, or do you dive right in and see what happens like I do? Knowing how everyone else does things will be helpful, and interesting. Personally, I'm a dive-in kinda person. But as the GM, I also have a certain amount of planning to do to keep the role-play on track and moving in a particular direction. I'm more into experimenting with character's personalities. So most of the time I would have my character be with another player. The objective for my character would be to get back to Khemet. However considering that my character is captured. I won't be able to meet up with anyone. Maybe the GM would have a bounty set to rescue Alyssa or you guys just stumble upon her by chance.